What degree of responsibility do influencers have when promoting a product or service? That’s the legal precedent unfolding in US courts as lawsuits related to the failed Fyre Festival reveal. The case of Fyre not only shows the power of influencers but also indicates the need to discern the line between what is advertising and what is truthful. Here are some tools to ensure you carry out effective influencer marketing. In January 2019, two documentaries about the failed Fyre Festival came out on rival streaming services, putting the event, and the role of influencers, into focus. As the festival returned to the global zeitgeist, prosecutors requested a subpoena for records to Kendall Jenner, and representatives for the other models and influencers paid to be part of the promotional video for the festival, including Bella Hadid and Hailey Bieber. The personalities were reportedly paid $5 million, and in the process of the bankruptcy litigation in the fallout from the event, the authorities looking to find the money and where it went. In this case, as the perpetrator is currently in prison and they do not have direct access, they are presently working on targeting people who were compensated. Why is this of interest to us? Firstly, as we previously mentioned, it is because of the question of influencers’ liability. One of the key selling points of the festival in the deck used to request funding from investors was the significant influencer marketing campaign, even if the reality of the festival was far removed from the illusion produced in the initial promotional video. Given they were paid hundreds of thousands of dollars, the question of what responsibility they have remains. Gigi Hadid, among others, has apologized for their involvement, while maintaining that they assumed the festival would turn out the way it was sold to consumers and had no knowledge of its failures. This is not the end of influencers being embroiled in scandals. Most recently, Olivia Jade, with 1 million followers, has been caught up in a US college admissions scandal that has seen her parents charged for allegedly paying $500,000 to get her and her sister admitted to the University of Southern California as members of the crew team. When comments about her not taking her education seriously resurfaced, two of her largest partners, Sephora and TRESemmé, swiftly ended their partnerships, and in the case of Sephora, pulled the Olivia Jade x Sephora collection they had jointly developed and started to sell in stores. The moral of the story with Fyre is that influencers have considerable sway in the way audiences perceive social media content, even leading to the point that the audience views it as authentic content, despite it being the fruit of a partnership with a brand. As consumers are starting to become more conspicuous and cynical about what’s out there on social media, the time is right to take stock of our influencer marketing and work towards a more transparent future. While some are striving to make human influencer marketing more transparent, some investors are making bets on companies that are leading to “the rise of a new kind of studio system — one that’s independent of the personalities and scandals that have defined a generation of Vine, YouTube and Instagram stars — and it’s attracting serious venture dollars.” Brud, the Los Angeles-based company behind Lil Miquela, the most successful of these avatar influencers, was reportedly valued at over $125 million with big-name investors on its roster that include Sequoia Capital. But what about those that lack the resources or would prefer to not work with avatars? Let’s find out. In January 2018, The New York Times published an in-depth investigation about the prevalence of fake followers on social media platforms. While Twitter and other platforms prohibit bought followers, their investigation found that a company calledDevumi sold 39,000 customers about 200 million Twitter followers, and some of these customers used their inflated follower counts when pitching deals for sponsored content. The names on the list included actor John Leguizamo, and even a member of Twitter’s board, Martha Lane Fox. In the summer of 2018, Twitter announced it would be deleting dubious accounts, and many celebrities saw their follower accounts go down significantly. More marketers are getting serious about detecting fraud. The ACTIVATE State of Influencer Marketing 2019 study found that 51.82% of the marketers surveyed have mechanisms that recognize bots or fake followers in place, up from 24.49% in 2018. Two-thirds of them believe that social media platforms should take more action to combat fraud. While Facebook and YouTube have now added settings that allow brands to distinguish posts as branded, paid content, Instagram has announced measures to crack down on inauthentic activity on the platform. While this is promising, there is still farther to go. The Advertising Standards Authority in the United Kingdom developed an Influencer’s Guide in conjunction with Competition and Markets Authority (CMA) to assist influencers in following the rules about what social media posts are considered ads in the ASA’s eyes. If a post is regarded as an ad in the United Kingdom, the content then becomes subject to a series of rules, and the document serves as a blueprint for influencers to know what to do in case they find themselves running afoul of the ASA or if someone files a complaint. In the case of the United States, the Federal Trade Commission (FTC), has been issuing guidance about sponsored content disclosure since the late 2000s. The general rule-of-thumb has been that if the average user cannot discern whether there is a relationship, whether paid or not, between a social media poster or brand, then it should be disclosed. In 2018, the FTC noted that the disclosure mechanisms in place on platforms like Facebook are not enough. Despite that, most of the legal action taken has been to brands that did not disclose that they paid influencers for promoting a product. There have been some prominent cases, however, such as Floyd Mayweather Jr. and DJ Khaled paying combined penalties $700,000 to the Securities and Exchange Commission (SEC) for failing to disclose payments they received for promoting initial coin offering (ICO) investments. Until more regulation comes into fruition, most of the FTC’s actions towards individual influencers themselves have been warning letters. What mistakes can we pick up from both the Fyre Festival fiasco and Olivia Jade? In the case of Fyre, there was no alignment between the festival organizers and the influencers. 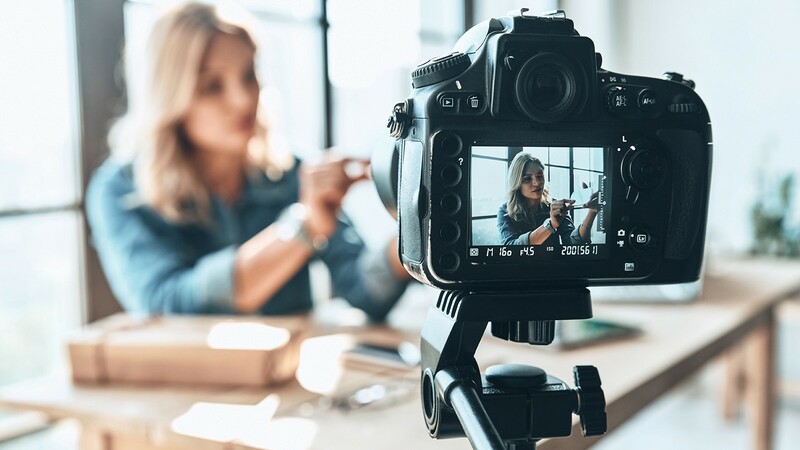 Econsultancy notes that the key to a successful influencer campaign is a shared goal, but there are many factors to consider. In the face of rampant fraud in follower accounts, there are tools, such as the Sylo platform, that can help brands find out what percentage of an influencer’s followers on their social media accounts are bots. Brands are starting to require influencers to be subject to this type of analysis on their accounts before beginning any engagement with them. Those that are starting to include this procedure are adding it into the contracts signed as part of engagement with influencers. Some brands are already taking steps to strive for transparency. At last year’s Cannes advertising festival, Unilever Chief Marketing Officer Keith Weed announced that Unilever would stop working with influencers who were found to buy followers, and they would also not purchase followers for their brands as well. Many brands use the quantitative figures behind the influencers that prove the amount of reach they promise as the primary rationale for choosing to work with them. While the followers and the apparent engagement drive these decisions, it’s also worth screening potential influencers by asking some questions to ensure they align with brand values. When screening with influencers, Econsultancy recommends asking the following questions: “Does the influencer represent lifestyle characteristics important to the brand? Is the influencer involved in activities and causes that the brand supports? Is there otherwise something special the influencer brings to the table that makes him or her uniquely qualified to be associated with the brand?” If we go back to the Olivia Jade case, they note that her former partner, Sephora, offers tuition reimbursement as one of its employee benefits. Since many of the brands she has previously worked with have supported education in a myriad of ways, if they were unaware of those comments, it is possible that they should have paid better attention to that content because the statements espouse values that are not consistent with their corporate policies. Disclosure is going to be your biggest ally for publishing transparent sponsored content with influencers. Since we noted that the FTC said that the built-in tools available on platforms are not enough, it’s essential to use them in conjunction with other measures. Since the disclosures above the posts may not be readily visible, hashtags are the other key element for disclosure. Make sure that the hashtags are explicit, such as using #ad, and put the hashtags towards the beginning, so they’re hard to miss. As the tools we have highlighted show, the aim of a more transparent influencer marketing is about making the improvements that Keith Weed underscored in his statement at Cannes. “Cleaning up the influencer ecosystem by removing misleading engagement; making brands and influencers more aware of the use of dishonest practices; and improving transparency from social platforms to help brands measure impact.” While we await more scalable solutions that can be universally applied across the entire industry, we can already begin to set the foundation for transparent, authentic relationships to maintain and restore trust with consumers. This article was written by Natasha Gingles and originally published on the WAM blog. We are a strategic consulting firm and full-service marketing agency with the business knowledge and digital expertise to help you reach your goals.